SAVE THE DATE! Exclusive showing! Chicago Premier of the powerful documentary “Follow Me”: The Yoni Netanyahu Story, directed and produced by Ari Daniel Pinchot . There will be a “question & answer” session with Ari Pinchot following the film. This event will benefit Camp Moshava, Wild Rose. For more information please call the Moshava office 847-674-9733 ext 12. More details to follow regarding tickets and sponsorship opportunities. Camp Moshava’s relationship with the Harold Grinspoon Foundation goes back more than a decade. Working with the Grinspoon Foundation has helped Camp Moshava, Wild Rose in many significant ways. The matching grant incentive programs throughout the years have allowed the Camp to attract and leverage donor contributions; they’ve resulted in substantial capital improvements, including an air conditioned gymnasium (2005) and a brand new pool with adjacent changing rooms and shower houses (2006). The matching grants also allowed us to deal with long overdue deferred maintenance. Grinspoon Institute Technology Program Manager, Kevin Martone, has helped us with our technology, including assistance selecting and implementing CampMinder, which has changed the way we utilize our database to maintain our records and build relationships with donors. Kevin’s suggestions and presentations at the Grinspoon Conferences have also helped us improve the utility of our camp website. Our Mentor David Sharken has worked to strengthen our board, hold everyone accountable and give structure and order to our committee and sub-committee meetings. In addition, David led a strategic retreat in 2011 to help the board develop a strategic vision. The end result gave the board six functioning and viable sub-committees, including an active Governance Sub-Committee and Executive Sub-Committee. Participation in the Camp Legacy Initiative will have long-lasting effects on our camp. It has helped us reach out to alumni and donors to set the foundation for a solid financial future. The insightful webinars and Conference workshops have helped us establish the program and solidify our stewardship efforts with Legacy members and all camp donors. The Grinspoon Institute Annual Conference has been an invaluable tool in nearly every facet of building a successful organization. Our delegation comes back energized and with new ideas to improve our efforts. Sharing and hearing ideas from other camps has inspired us to push forward even when times were difficult. Fundraising, stewardship, and board development are areas that have specifically improved from information learned at the conference.  Join us and play Mahj for Mosh- Help raise funds for Camp Moshava Wild Rose. Don’t know how to play? No Worries! Come from 7-8PM for a tutorial.